Silver is a ductile and malleable metal and it is stronger than gold. Because it is an easy metal to work with and also because of its color and its shine, men consider it as one of the most precious metals. About 70% of the world production is used in the coin production. Another part is used in jewelry and a little percentage in photography and chemistry. The word silver comes from the indo European "arg" meaning "shiny" or from "Ar-jun" in Sanskrit language meaning the same thing. The first traces of silver ore extractions date back to 3000 B.C in Anatolia (Turkey). These mines provided the Middle East, Crete, and Greece during the Antiquity. Around 1200 B.C, the main producer of silver was Laurium in Greece that would provide the main Mediterranean civilizations. Around 100 A.C, Spain became the main provider of the Roman Empire. The Spanish conquest by the Moorish provoked a change and increased the silver market by opening several small mines through Europe (and more particularly in Germany and in Western Europe), most of all between 750 and 1200. In 1492, with the discovery of the American continent, silver was again used a lot. The world production tremendously increased between 1500 and 1800. Bolivia, Peru and Mexico represented 85% of this production. This production never stopped to increase with the discovery of new mines (the USA, Australia, Chili, Japan…) and the use of silver in new technologies. Silver has always been used for thousands of years in different civilizations for decorating, tools, medicine, business and the monetary system. However, it always came after gold which is rarer and more fascinating due to its color and shine looking like the sun. Very early in history, gold was associated to the sun and silver was its counterpart as the moon. It was therefore often symbolized as a crescent moon. 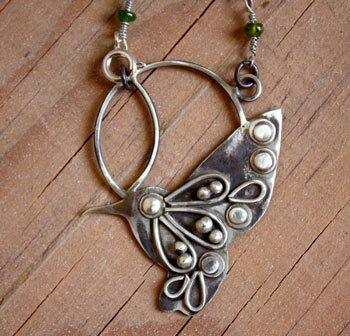 This relation moon/silver gave this metal a feminine symbol as well of softness, purity, transparence, soul, coldness and fertility… silver was then the symbol of numerous goddesses linked to the moon. In Asia Minor and in the Aegean islands, slag was found showing that since 3000 B.C; they knew how to separate silver from lead. Silver was also important for Egyptians (after gold which was still the symbol of sun and the most precious thing). In their mythology, gods would have silver bones and gold flesh. Silver was the symbol of the moon goddess, Isis. Since the Antique Greece, silver was used to fight against infections. The "father of medicine", Hippocrates, mentioned it to cure wounds and to control infectious diseases and ulcers. According to Herodotus, the king of Persians would carry boiled water in silver bottles to avoid diseases. In the Greek mythology, silver was as present as gold and was more particularly linked to Artemis, the hunt goddess. She was very linked to the moon which was one of her attributes. She would also use a bow and silver arrowheads. The Roman economy was based on silver. This civilization is the one who used it the most in history before the discovery of America. It is said that 200 tons were mined each year in the 2nd century. There was a stock of 10 000 tons in circulation which was 5 to 10 times more than the total amount of available silver in the medieval Europe and the Caliphate. Most of this precious metal would come from Laurion mines in Greece. Silver also has an important place in Celtic mythology. It is mentioned with the king of Thatha Dé Danann (the Dana goddess people), Nuada. He lost his throne when he lost his right arm in the first battle of Mag Tuireadh. Infirmities were discriminatory for this job. Therefore, the medicine god Diancecht allowed him to come back to the power by making him a silver arm. During the Antiquity, silver was mentioned in the book of Genesis and was always linked to religious objects since the beginnings of humanity. Silver is also mentioned in the New Testament when Juda received 30 silver coins to betray Jesus. Silver and its value have a particular place in the Jewish community. It appears quite often in the Judaic law. They always refer to the value of money with silver from Babylonia which still has an established weight and value. It is a reference that states the salaries of the members of the religious court. The law also establishes for example that the priest will receive 5 silver coins for the first birthday of his elder. Very often, he will give these coins to the child as a gift. The Islam forbids men to wear jewels. However, they are allowed to wear a sterling silver ring on the smaller finger of each hand. Mahomet would also wear a silver ring that he would use as a seal. Gold is strictly prohibited for men. Silver salts have been used since the Middle-Ages to color and to stain glasses with yellow and orange hues. As silver has germicide and bactericidal properties, it was used to make cutlery. It is the origin of the expression "born with a silver spoon in his mouth", that became a symbol of richness later. Because of these properties, pioneers in West America would put silver coins in their gourd to protect their water. 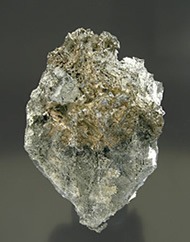 In Chili, silver was the symbol of the moon goddess, Auchimalgen. Silver like gold was used as money in most of civilizations until the Gold standard system at the end of the 19th century. Silver was first used as money by Libyans around 700 B.C. Some countries still coin money with silver but more like a commemoration or as an investment and a protection against devaluations. Silver is used a lot in jewelry and plate. It is used as is or in silver plated solution. Because it has great electrical conductivity properties, silver can be used in electricity and electronics fields. Even if it is oxidized, it is still a better conductor compared to copper. Silver is used a lot in film photography and more particularly in the field of radiography as the other sectors are using more and more digital techniques. You can also find silver in the music field to make instruments and speakers. Silver would help with a good mental health. It would strengthen the effects of stones. It would give good results for hepatitis treatment. Silver would allow assimilating vitamins A and E.
It would reduce eye problems. It would protect from dermatitis, osteoporosis, chronic flu, sinusitis and rheumatisms. Thanks to its antimicrobial and antibacterial properties, silver would help healing wounds. It would reduce fever, inflammations and the nervous system stress.